fenders: do I need to just roll them or do I need to pull them as well? Shave tabs? Tires: I was thinking 205-45-17 all around. I need your guys' input on this, I'm not to sure if it will work out properly. It's a DD too. Thanks!!! Ps. Please no flamming I wanna do something different and crazy. Last edited by Twisty55; 11-26-2010 at 12:15 AM. 17x8, +45 with those tyres would work all around, with almost no issue. Maybe cut that tab by the rear bumper if you need to. If you went with the spacers you'd def hafta roll the guards but that'd probably be it. im liking this and i want to see pics of this setup. I plan on doing 17x8, 17x9 with somewhere in the neighborhood of +30-35 offset. You will have to roll your fenders and maybe a little bit of pull, I would wait to see because its dependent on how low you go. You will also need to shave that rear bumper tab and move the mounting towards the rear just a little bit. Tire size again depends on how low you wanna go. Here's a picture for reference, he's running 17x8/17x9 +35, 205/40 front and 215/45 rear. Haha, I guess you'll think I'm gay too when I get my new wheels. Last edited by 1BadBB6; 12-01-2010 at 05:44 PM. Nice! Yeah I don't find anything gay about staggered wheel. Form>Funtion. I have a friend who has 17x9+35 all around and we are gonna mount them next week. I'll take some pics and post them up. 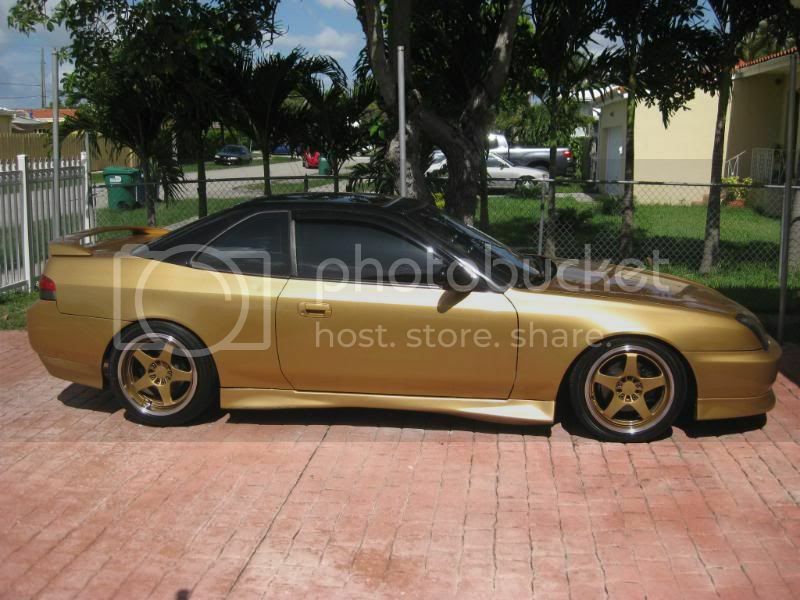 My car is gonna go in the shop to get painted by the end of December. Midnight purple pearl off an NSX. so I'll post pics of that too. What do you mean by Move the mounting towards the rear? Yeah I wanna go pretty low. You think Koni yellows and ground control are a good enough set up for that? 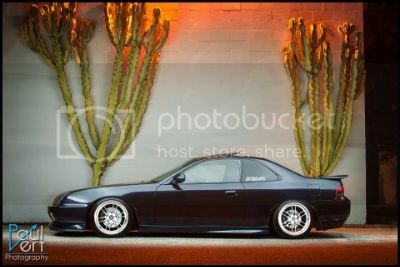 Or do I need to get coilovers? Camber kit? Since you are shaving that mouting tab you will need to move the mount back a little bit so you still have use of it. It's basically just drilling a new hole and securing a bolt in it with one of those thread clip thingies. I know you can go really low with that setup so I would say you should be fine. The only thing that might out do those are the D2's that have up to 4" of adjustability. You will just have to call GC and see how low they will go. You don't necessarily need a camber kit, I believe neither of those above pictured cars have one. 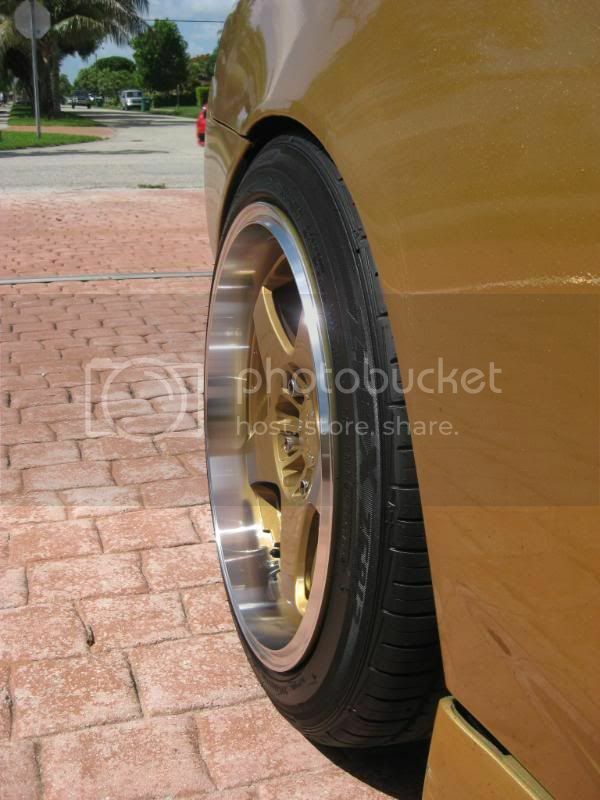 You will get natural negative camber the lower you go, which should be enough. You'll get 3.5 with the Ground Controls. Nice set-up really.